An earwig mother will treat another female’s eggs as caring as her own eggs, Sophie Van Meyel and colleagues write. Previously, Janine Wong and Mathias Kölliker had discovered that she is willing to accept young orphans in her family. Earwigs are not very popular animals, but actually they are lovely creatures. The extensive and complex care that females provide to their offspring is impressive. 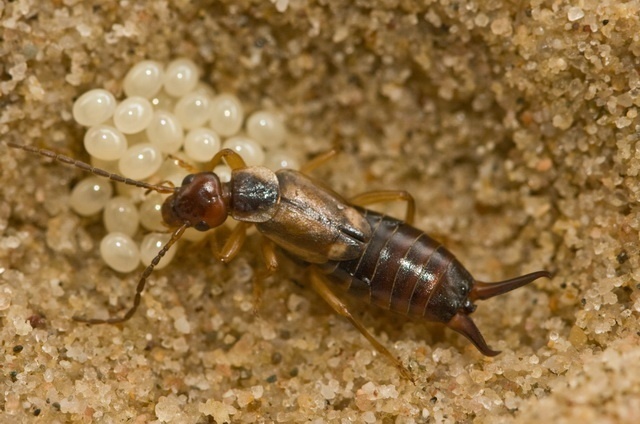 In late autumn, a female European earwig, Forficula auricularia, lays twenty to forty eggs in a burrow. She then remains in that nest and tends her clutch during winter. And that pays off: without her presence, almost all eggs would be lost, Sophie Van Meyel and colleagues show. A mother cleans the eggs with her mandibles to prevent growth of fungi and pathogens. She protects her clutch against predators. She ensures that the eggs will not desiccate. And she relocates them if necessary. This nice maternal behaviour is not directed exclusively to a mother’s own clutch. When the clutch of an earwig female is replaced by that of another female, she provides the same care with the same dedication, as Van Meyel witnessed when she conducted cross-fostering tests in the lab with five-day-old clutches. The eggs have their mother’s odour, so a female should be able to recognize foreign eggs. But she does not reject them. When tending eggs, a female faces a tough task, because she will not leave to forage until the young have hatched, which takes a few months. So, she will lose weight. But strangely enough, the weight loss during winter is even greater for a female that has no eggs to tend. Apparently, food is scarce outside. 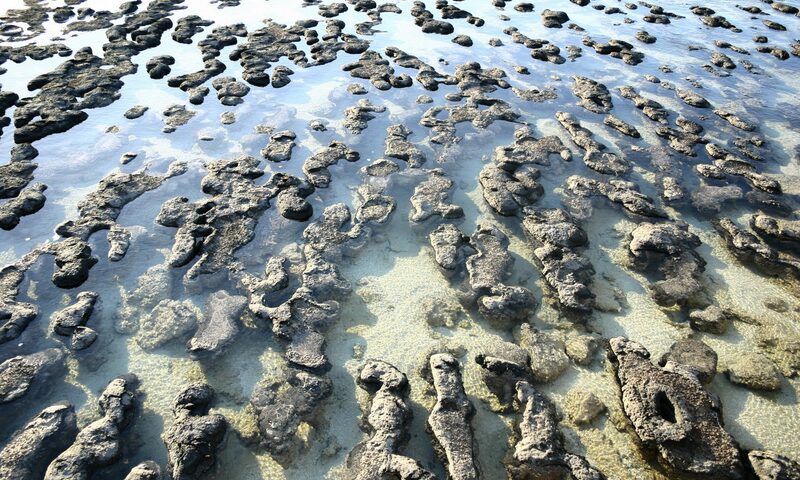 A tending mother probably cannibalizes some of her eggs to survive. This may explain that she is willing to care for a foreign clutch as well as for her own clutch, as the possession of eggs is a guarantee that she does not have to starve. She will be forgiven for consuming a small part of the clutch, since without her care almost no egg would make it through the winter months. The young hatch in early spring. Earwigs do not go through a complete metamorphosis with larval and pupal stages, but the juveniles resemble adult animals. They are nymphs. After hatching, the nymphs usually stay in their burrow for a week. The mother protects them, regurgitates food for them and accompanies them when foraging at night. The nymphs can do without that care; they are mobile shortly after hatching and can search for food independently. But they do better if their mother attends them during the first week. However, not every mother survives until spring, so some nymphs are orphans from the start of their life. Many such nymphs leave their natal nest during the first night. If they survive, they often join another family. Then again something remarkable happens: the mother of that family typically accepts them, and most orphaned nymphs end up well, as Janine Wong and Mathias Kölliker have shown. Most motherless nymphs appear to choose an adoptive family with smaller juveniles. They are safe there, because when food is scarce, nymphs may cannibalize each other, preferring nonsibling smaller nymphs. By accepting foreign nymphs, an earwig family therefore runs a certain risk. Apparently, group augmentation confers an advantage to the adoptive family that outweighs that risk, but it is not clear yet what that advantage might be.